I came to think about this dictum when today reading yet another Piketty critique — this time by Matthew Rognlie (on which Brad DeLong has some interesting thoughts). As I see it the gist of the critique is that neoclassical economists — force-fed on growth models taking for granted constant returns to scale and diminishing marginal returns in each factor — can’t really accept, or even comprehend, Piketty’s argument that the rates of return on capital will not diminish. In Paul Romer’s Endogenous Technological Change (1990) knowledge is made the most important driving force of growth. Knowledge (ideas) are presented as the locomotive of growth — but as Allyn Young, Piero Sraffa and others had shown already in the 1920s, knowledge is also something that has to do with increasing returns to scale and therefore not really compatible with neoclassical economics with its emphasis on constant returns to scale. The world isn’t really characterized by constant returns, and it was essential to go beyond the Ricardian Simplification, if only to be able to say to the policymakers that we had explored that terrain and found little of use. In one way one might say that increasing returns is the darkness of the neoclassical heart. And this is something most mainstream neoclassical economists don’t really want to talk about. They prefer to look the other way and pretend that increasing returns are possible to seamlessly incorporate into the received paradigm. A couple of years ago yours truly wrote a review of David Warsh’s great book on growth theory – Knowledge and the wealth of nations – for an economics journal. The editor accepted it for publication – but only if I was willing to lift out the parts where I highlighted Warsh’s discussion of increasing returns to scale and the efforts neoclassical economics over the decades had put into trying to willfully ”forget” this disturbing anomaly. Moral: some dogmas are not to be questioned – at least not if you want to be published! For my daughter Tora, who has just made her first year at Stockhom School of Economics. Neoclassical synthesis — is that really in Keynes? A new second edition of An Encyclopedia of Keynesian Economics is out, featuring accessible, informative and provocative contributions by leading Keynesian scholars working in the tradition of Keynes. For those interested in the debate on Keynes and the Keynesian Revolution it is a must. Finally it should be noted that the neoclassical economists’ adoption of classical theory of supply tied Keynesian thought to a theory wholly at variance with that advanced by Keynes himself, in Chapter 3 of General Theory. Had the neoclassicals not done this, it is unlikely that they would have neglected the issue of price formation. And, given the nature of Keynes’s theory, it is certain that the issue of income distribution would have assumed far greater prominence than it has in the neoclassical synthesis. yours truly, on this issue, definitely sides with McKenna/Zannoni and Stiglitz. Added: Just in case you’re contemplating commenting on this post and think that Hayek is all bad — read this! I’m probably not the only blogger/researcher that likes to listen to music while writing/working. Zbigniew Preisner, Philip Glass, Miles Davis, Arvo Pärt and Jan Garbarek are longtime favorites. Ludovico Einaudi is a rather new acquaintance. ”Nominal wages are sticky”: Well, every piece of research I’ve seen on this subject … agrees that nominal wages are sticky, at least in the downward direction. But the kind of exogenous stickiness in most ”New Keynesian” models doesn’t make a lot of sense. So this ”undeniable truth” gets only a provisional pass, since the real ”stickiness” might not affect the economy in the way ”Keynesians” think. ”A lot of unemployment is involuntary”: The more you think about models of labor and unemployment, the more you realize that ”voluntary” is not a well-defined term. But since many unemployed people definitely seem to think (correctly or incorrectly!) that they can’t find any sort of job, I’ll give this one a provisional pass as well, with the caveat that ”involuntary” is defined in the mind of the unemployed person. 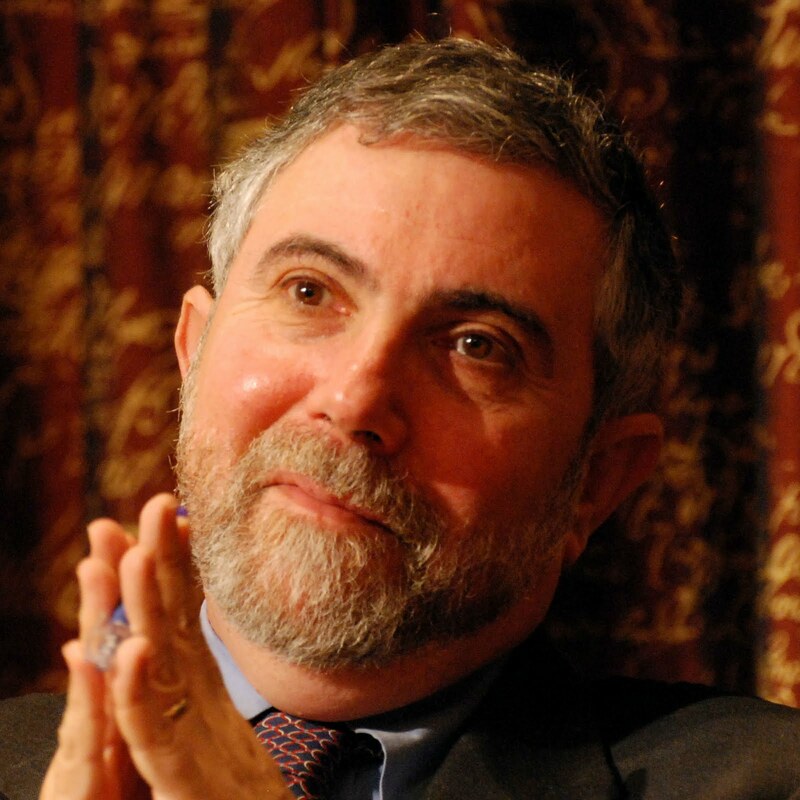 Indeed — a lot of unemployment certainly is ”involuntary.” So, people calling themselves ‘New Keynesians’ ought to be rather embarrassed by the fact that the kind of microfounded dynamic stochastic general equilibrium models they use, cannot incorporate such a basic fact of reality as involuntary unemployment! To Keynes this was self-evident. But obviously not so to ‘New Keynesians’. So I wrote this on Friday, and put it aside because I feared that it might be intemperate, and I do not want to post intemperate things in this space. Today, Sunday, I cannot see a thing I want to change–save that I am, once again, disappointed by the quality of critics of Piketty: please step up your game, people! Let me assure one and all that I focused–and focus–on the depreciation assumption because it is an important and central assumption. It plays a very large role in whether reductions in trend real GDP growth rates (and shifts in the incentive to save driven by shifts in tax regimes, revolutionary confiscation probabilities, and war) can plausibly drive large shifts in wealth-to-annual-income ratios. The intention is not to distract with inessentials. The attention is to focus attention on what is a key factor, as is well-understood by anyone who has control over their use of the Solow growth model. We have a very large drop in Piketty’s calculations of northwest European economy-wide wealth-to-annual-net-income ratios from the Belle Époque Era that ended in 1914 to the Social Democratic Era of 1914-1980 to account for. How would we account for this other than by (a) reduced incentives for wealthholders to save and reinvest and (b) shifts in trend rates of population and labor-productivity growth? We are now in a new era, with rising wealth-to-annual-net-income ratios. We would like to be able to forecast how far W/Y will rise given the expected evolution of demography and technology and given expectations about incentives for wealthholders to save and reinvest. How do Krusell and Smith aid us in our quest to do that? En av landets mest välbetalda journalister — Per T Ohlsson — har i sin återkommande söndagskrönika i Sydvenskan i dag en mer än vanligt dåligt underbyggd artikel om Thomas Piketty’s Capital in the Twenty-First Century. Som läsare av denna blog kunnat konstatera den senaste veckan — här, här och här — är detta långt ifrån med verkligheten överensstämmande. Inte minst de ”tunga” ekonomerna Krusell & Smith har — som den ännu ”tyngre” ekonomen Brad DeLong visat — en minst sagt dålig verklighetsförankring vad avser de numeriska värden de laborerat med i sina modellbaserade försök att vederlägga Piketty. If one gains clarity about these relation-ships, then one can begin to understand why the models constructed with the help of simple behavioral assumptions by neoclassical oriented theoreticians must be immunized against experience in one way or another if their failure is to be avoided. It is not by chance that the attempts of some proponents of pure economics to achieve autonomous theory formation tend to be translated methodologically into model Platonism: the immunization from the inﬂuence of non-economic factors leads to the immunization from experience in general. It appears that the diagnosis of the fundamental methodological weakness of the neoclassical way of thinking must lead to an aversion to sociology. By contrast, regardless of all methodological differences, all heterodox currents in economics characteristically share one element: the accentuation of the signiﬁcance of social factors for economic relationships and the consciousness of the fact that the social domain analyzed by pure economics is embedded in a more comprehensive social complex that cannot be abstracted away from with no further ado if useful explanations are being sought. The methodological weakness of these currents should not prevent one from seeing what is, in my view, the decisive point, which generally tends to be buried amidst an array of irrelevant arguments about subordinate problems or pseudo-problems, such as those about the applicability of mathematical expressions, the usage of certain types of terms, the question of the preferability of generalizing or pointedly emphasizing abstraction, etc. Flummoxed Brad DeLong answers Krusell & Co.
Can this happen? And Krusell and Smith and company are saying: no, it cannot. As the capital-output ratio rises, the desire to consume wealth pushes the gross savings rate goes down and the fact that capital depreciates at 10%/year pushes the net savings rate down much further, and so there are no macroeconomic forces in play that could push the wealth-to-annual-net-income ratio far up above its current value of 300%. But if the savings rate necessarily falls as the wealth-to-annual-net-income ratio rises, why was the (gross) savings rate half again as high back before World War I when the economy was wealth-dominated as it is today? And from where comes the 10%/year depreciation rate assumption? What we clearly have here is a failure to communicate. And I really, really do not think that it is the result of a failure to try on Thomas Piketty’s part. Key economic evidence implicates policy decisions—and particularly changes in labor market policies and business practices—as more important in explaining the slowdown in hourly wages for the vast majority than many commonly accepted explanations (such as the interaction between technological change and the skills and credentials of American workers).